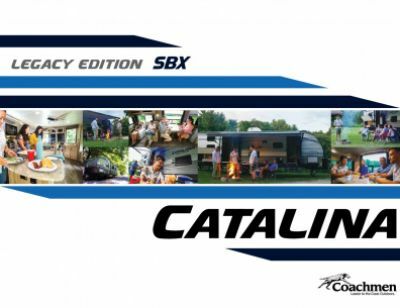 Here at TerryTown RV in beautiful Grand Rapids, Michigan, you'll save thousands on the 2020 Coachmen Catalina Legacy Edition 333RETS Travel Trailer! That's because we've been selling top brand, new and used RVs at wholesale prices for decades! We're located at 7145 Division Ave S Grand Rapids Michigan 49548! Come in and talk to one of our friendly, knowledgeable staff and you'll be in your dream RV in no time at a price you won't believe! And even if you don't live in the Grand Rapids area, just give us a call at 616-455-5590 and with our fast, reliable worldwide shipping, this Coachmen Catalina Legacy Edition 333RETS will be at your door in no time! This is one roadworthy Travel Trailer with a hitch weight of 1106 lbs, and a GVWR of 10500 lbs. The 14' 0" awning opens easily when you reach your destination, providing shade and UV protection for outdoor living. 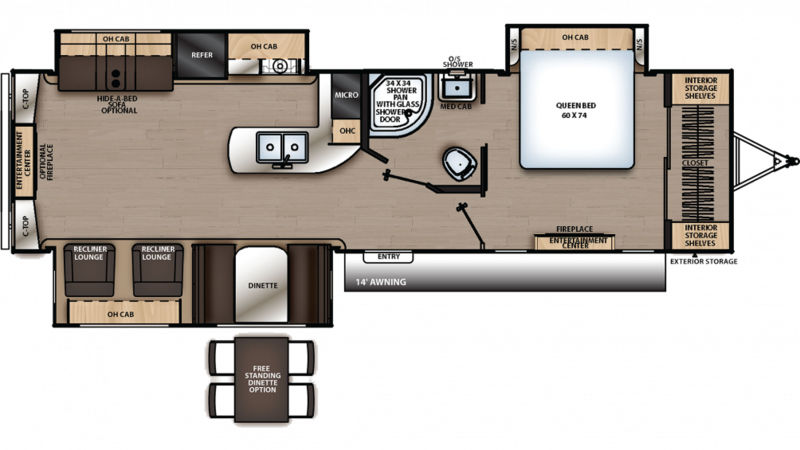 At an impressive 35' 10" long and 8' 0" wide, the 2020 Catalina Legacy Edition 333RETS provides roomy comfort for the whole family inside. It's 11' 1" tall, so there's plenty of headroom too! When the weather outdoors isn't cooperating, the 35000 BTU furnace will keep you toasty warm on cold days, while everyone will stay cool and fresh on the hottest days due to the 13500 BTU a/c unit! Eating meals on the road can be challenging. Fast food is expensive and fattening; campfire cooking means a limited menu. Fortunately, there is a fantastic kitchen with all modern cooking appliances. Whip up eggs, bacon, and flapjacks, or steaks, chops, chicken and fish on the 3 burner range cooktop! Keep everything fresh and handy in the 7.00 cu. ft. refrigerator! Fill up the 44 gallon freshwater tank for loads of clean, refreshing water on your trip!